Although it appeared that the mortgage industry had weathered the storm of scandal that peaked during the “robosigning” scandal of a few years ago, mortgage fraud in 2012 was up 31 percent from the previous year alone, targeting homeowners and investors alike with a wide range of schemes in all areas of mortgage lending and housing transactions. Mortgage fraud certainly isn’t new, but it took on major proportions during the infamous subprime mortgage meltdown of 2008-2011, when a number of major lenders engaged in blatantly illegal practices to exploit the flood of foreclosures that followed the housing crash. The most notorious of these practices was the so-called robosigning process, in which masses of foreclosure paperwork was signed off and processed with no oversight. In many cases the same name and signature was used on batches of foreclosure documents across several states. The result was a settlement reached between the US government and the major lenders involved in the scandal, including big name institutions such as Citibank and Wells Fargo. 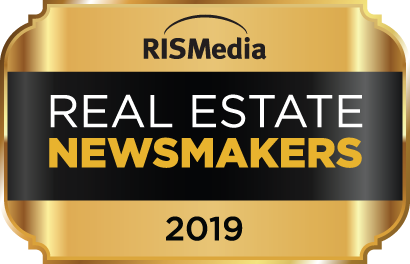 The terms of this settlement included provisions for more oversight of the mortgage industry, tighter lending standards and ways to report suspected fraud. 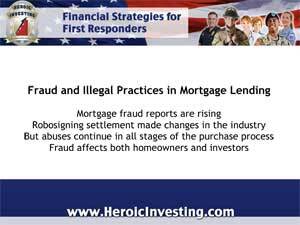 But in spite of these efforts, mortgage fraud continues – and is increasing. Using funding from the US Department of Justice, the National Crime Prevention Council has begun investigating reported cases of mortgage fraud. And these cases are on the rise. The US Treasury’s Financial Crimes Enforcement Network reports that the number of foreclosure related mortgage fraud reports in the first half of 2012 nearly equaled those of the entire previous year. What constitutes mortgage fraud? In addition to the failed robosigning tactic, illegal actions are rampant in foreclosure actions, with pressure on homeowners to sign blank documents and make ill-considered agreements. Fraud is also prevalent in short sales, where houses are deliberately defaced in order to sell for a lower price, property flipping and title transfers. Scams involving home equity lines of credit, and loan modifications. Mortgage fraud isn’t a small time crime, either. According to a recent article by Broderick Perkins on the financial site ERate, this kind of white collar crime also includes the kind of criminal behavior you’d expect to see in organized crime: conspiracy, racketeering and collusion. And, since mortgage fraud can take place at any point during a housing transaction, mortgage holders of both residential and income property can be affected by fraudulent practices. In the robosigning scandal, mortgage holders were largely left helpless, since the misuse of their documentation took place farther up the line, out of their sight. When dealing with today’s version, though, borrowers have some ways to protect themselves. ERate advises loan applicants to review documents carefully and refuse to be pressured into hasty decision; urgings to falsify information or provide more personal information than needed are also red flags. Mortgage rates are attractively low now, drawing applicants for new loans and refinancing options. Homes are still going into foreclosure too. While these factors make this a prime time for investing in income property, they also create conditions for a wide variety of fraudulent practices. 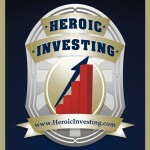 For heroic investors working with Jason Hartman’s investing principles, it’s essential to stay alert and informed throughout the entire process of purchasing an investment income property. The Dodd-Frank Act: What Does it Mean for Heroic Investors?